Welcome to a newly renovated, contemporary home only 4 blocks from the trendy and culturally rich area of East Vancouver called The Drive. This property is only a short bus ride to the heart of downtown Vancouver's world class restaurants, shopping, theatre, and of course Olympic venues! There are numerous Olympic venues just a quick cab or bus-ride from your doorstep! 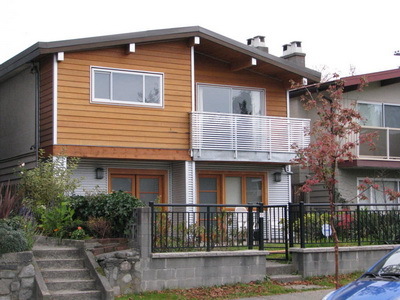 Closer to home, you will enjoy the quiet, tree-lined streets in a friendly and safe neighbourhood. 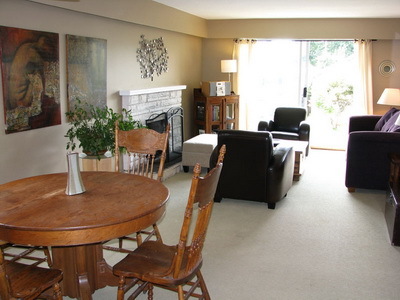 This home is walking distance to groceries, restaurants, and all amenities. 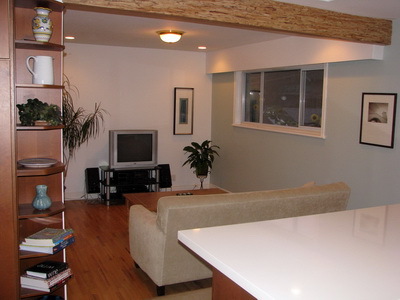 The top floor of this 2-level home is yours to enjoy with 2 bedrooms, den and a newly renovated state of the art kitchen. Beautiful Douglas Fir doors await you as you enter the front foyer a short flight of stairs brings you to a spacious and bright living room with wood-burning fireplace and formal dining area. 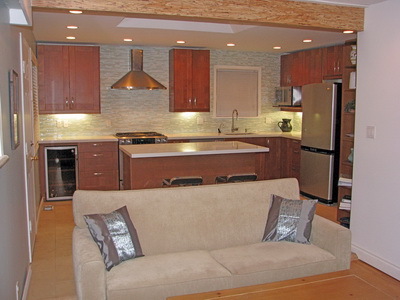 Adjacent, is the airy modern kitchen with quartz counter tops, commercial grade gas stove, large fridge, and wine bar. Beneath the sky light you can socialize around the island on comfy bar stools or relax in the attached den with TV/DVD, and stereo system. Wireless internet is also provided for your use. Keep track of all the Olympic action while you enjoy all the comforts of your home away from home. Off the kitchen you'll notice a covered patio and urban backyard. 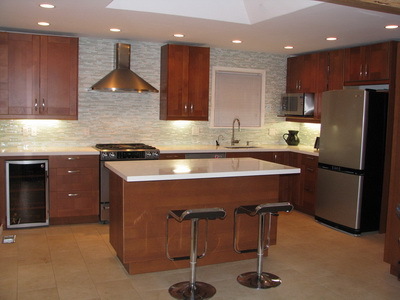 This home is ideal for cooking and entertaining! Away from the main living area you'll find two bedrooms, each with comfy queen size beds and book collection. A crisp, spacious bathroom, and in-house washer and dryer are also available for your convenience. 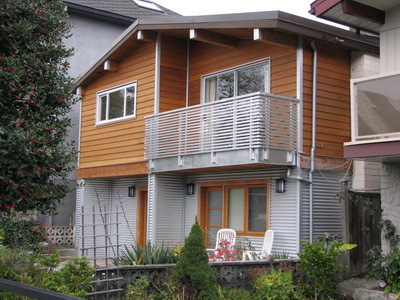 This contemporary house is only a 5-minute walk to Commercial Drive where you'll find numerous vegetable markets, the famous Dolce Amore Gelato store, Italian coffee shops, bakeries, and restaurants, as well as a host of other international dining spots. Also close at hand are necessities like a dry cleaner, liquor store, DVD rentals, medical centre, shopping and even a day spa to pamper you! For nature or outdoor enthusiasts, you are only a 10-15 minute walk from beautiful Trout Lake with it's myriad of walking trails and stunning views of the local mountains! Other local parks are just a few blocks away. Your home away from home is ideally situated to key Olympic venues such as the Pacific Coliseum for the figure skating and short-track speed skating events, BC Place for opening and closing events, Canada Hockey Place/GM Place, and Vancouver Olympic/Paralympic Centre for curling/wheelchair curling events. You are also in quick distance to head west on Highway 1 where you'll have easy access to Cypress Mountain for the free-style skiing and snowboarding, and Highway 99 which will take you to the Olympic Venues in Whistler. 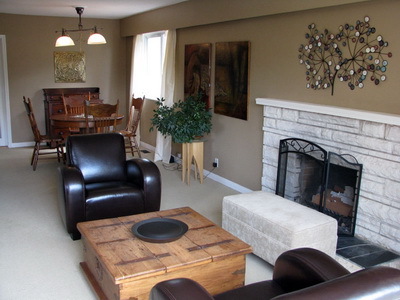 Also, head east on Highway 1 for the Fraser Valley or the Interior for other winter getaways. UBC and Richmond Olympic venues are also in reasonable driving distance. Numerous bus routes and SkyTrain facilities are a short walk away from your door, so you'll have no difficulty in reaching your chosen destinations. 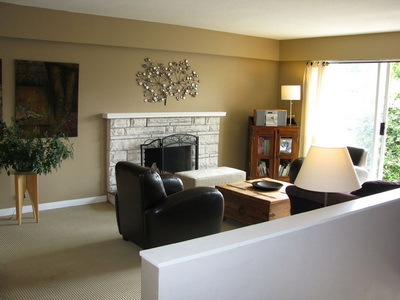 This comfortable and centrally located home is a perfect spot to come and make your Olympic memories. Vancouver welcomes you!